Work has already commenced on the East Course (the first 18 holes of a 36 hole project) designed by Jeff Howes Golf Design. This latest venture based in the south western city of Liuzhou, Guanghxi Province is to be called Liu Jiang International Golf Club. The project named after the majestic, wide & slow flowing River Liu not only meanders around the city of Liuzhou itself but it also forms the northern and eastern boundary of the East Course – Jiang being the Chinese word for river. In all some 7 holes of the East Course will strongly feature the river as part of their strategy. To date earthworks have commenced on holes 4, 5, 6, 7, 8, 9, 10, 13, 14, 15& 16 and all holes have been cleared. Fine shaping is expected to commence after Chinese New Year which starts on January 23rd and which lasts until February 1st. 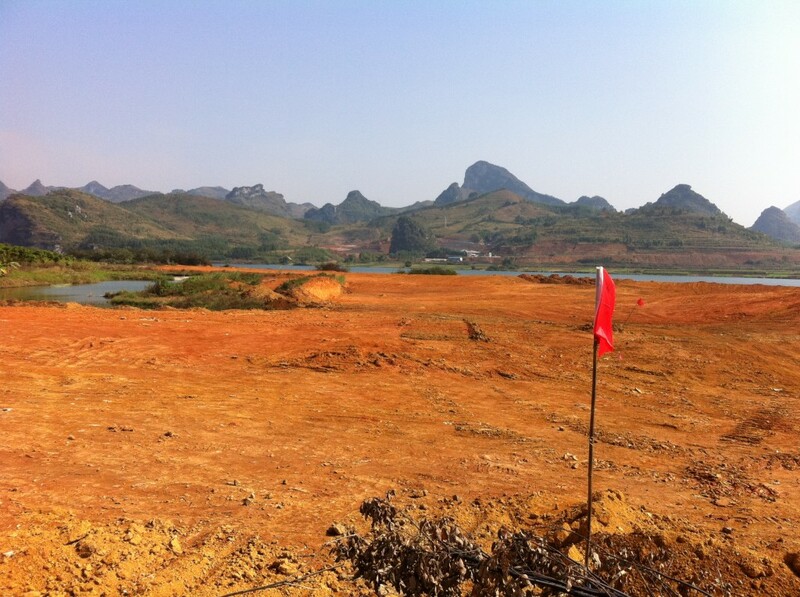 Image below shows Jeff Howes onsite with his co-ordinator Ms. Ruby Wang other images show extent of progress to date.